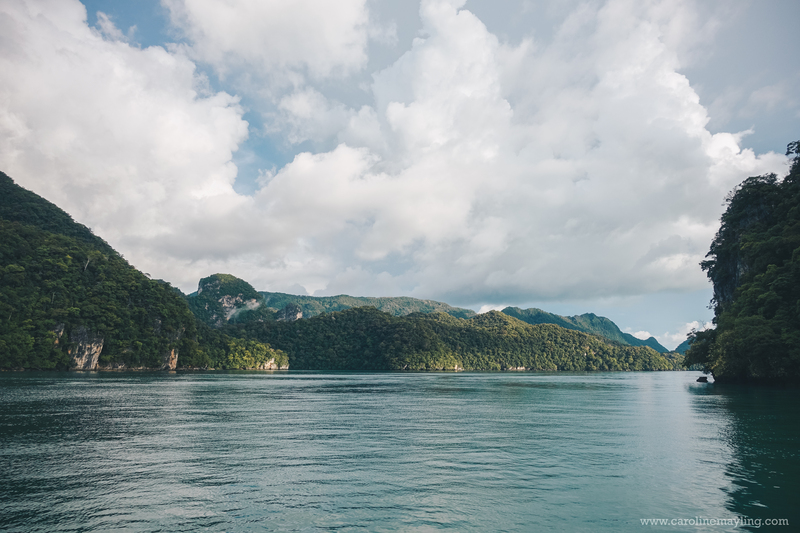 Here's another one of my favorite things to do in Langkawi - Sunset Dinner Cruise. 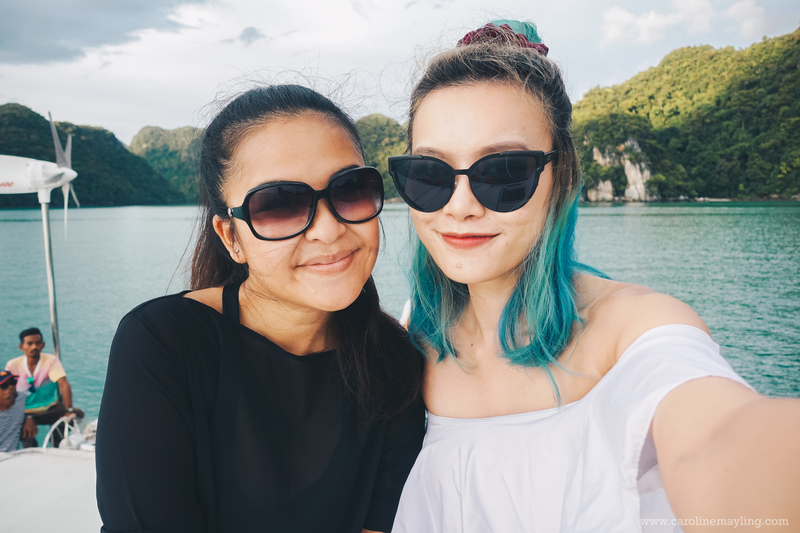 Both Mynn and I had so much fun during our previous sunset dinner cruise in Langkawi and we thought we should go for it again! 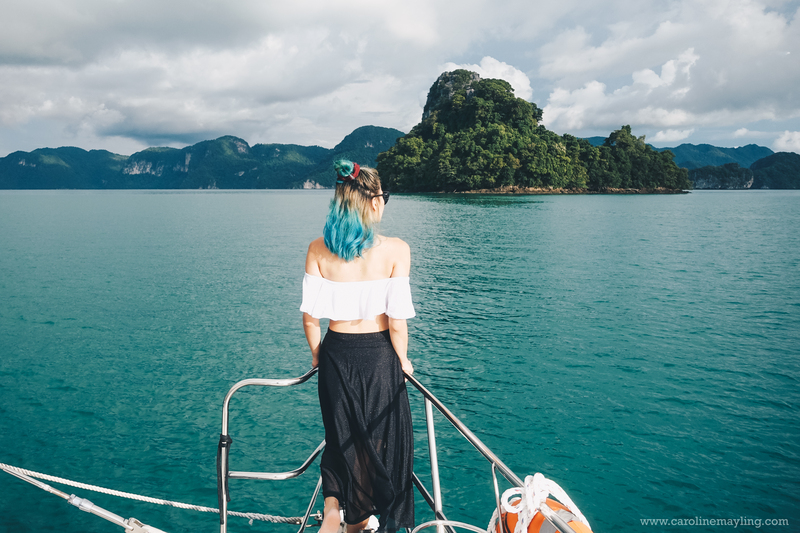 This time we were by ourselves and booked with Crystal Yacht Holidays which also depart at Resorts World Langkawi. You must be wondering why I put the title that way instead of my usual boring "Sunset Dinner Cruise with Crystal Yacht Holidays". Well, there's a reason for it. Believe it or not, other than Mynn and I together with another two guys from Taiwan and China; the rest of the members on the cruise was several couples and a family. Yup, couples everywhere on the cruise. 1. FREE Pick-up and Transfer Service. 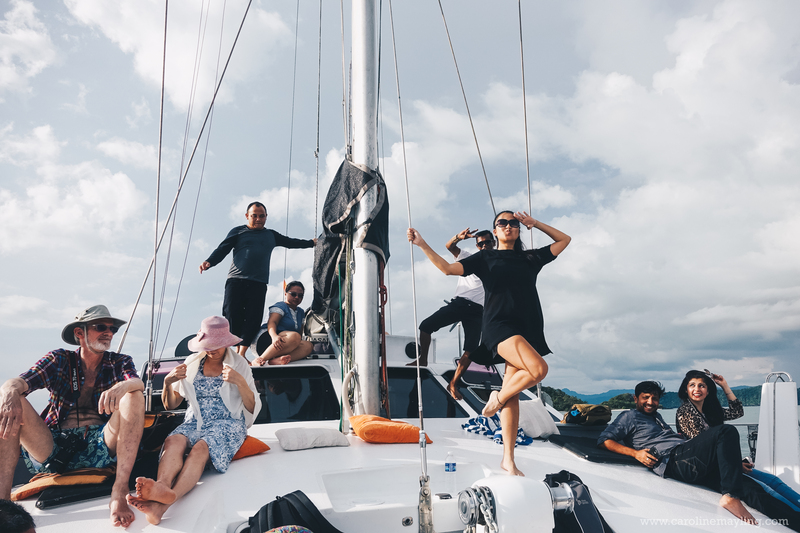 There's no need to worry about transportation to the departure point as Crystal Yacht Holidays provides free pick-up and transfer service from your hotel. 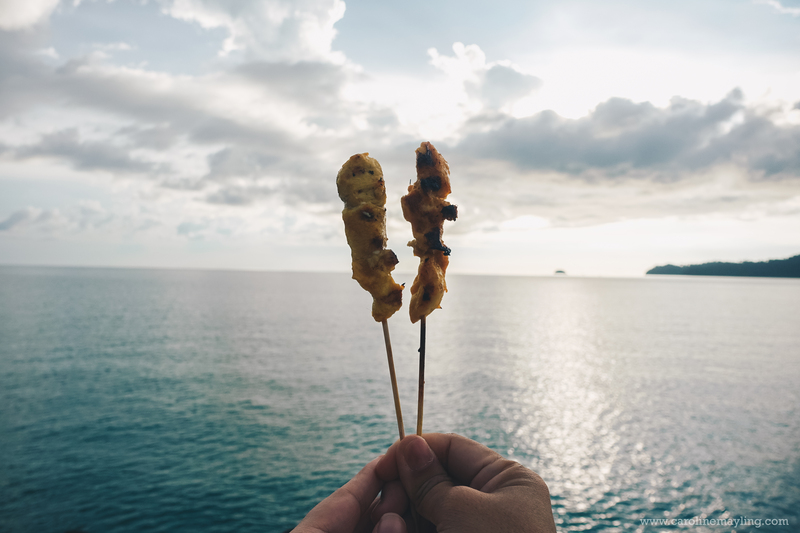 Both you and your partner just need to dress-up for the sunset dinner cruise and sit back at the air-conditioned tour van on the way to the departure point. 2. 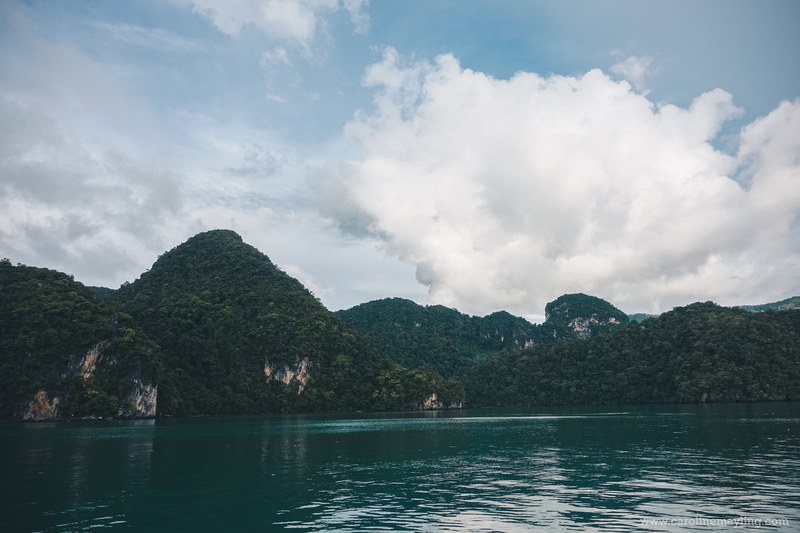 You'll get to choose the perfect seats on the boat. There are no seats assigned to everyone, which also means you'll get to choose wherever seat for you and your partner. Both of you get to choose to chill on the trampolines at the front deck; or on the top deck; or even inside the cabin. 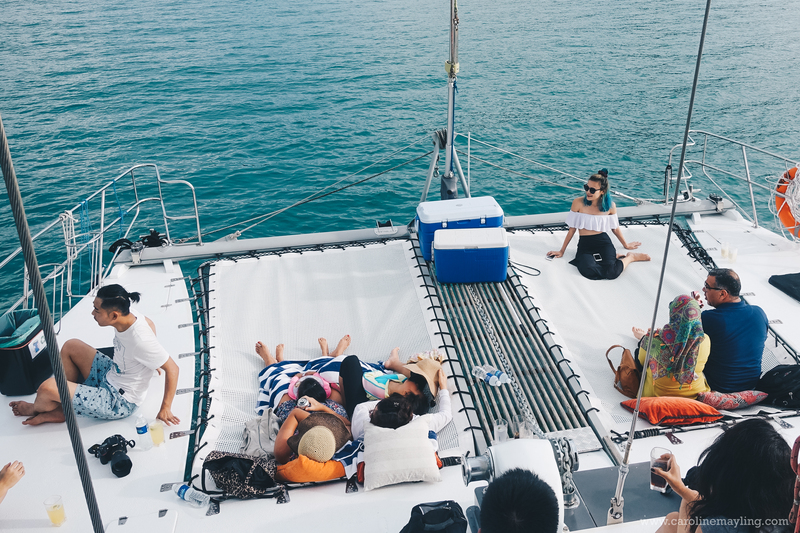 There are many couples opted to chill at the top deck and front deck to enjoy the sun and sceneries! 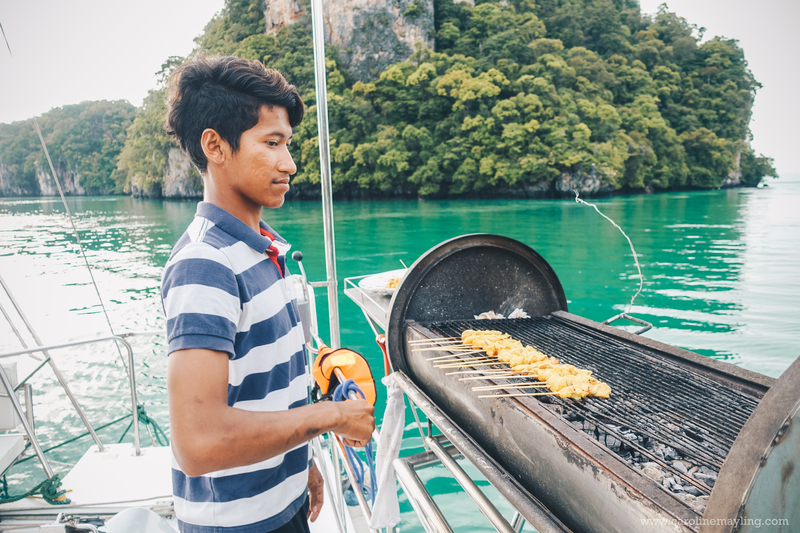 The moment you hop onto the boat, you will be greeted by friendly crews and yes, you'll get to enjoy unlimited free flow drinks ranges from juices, soft drinks to cocktails, beers, etc. 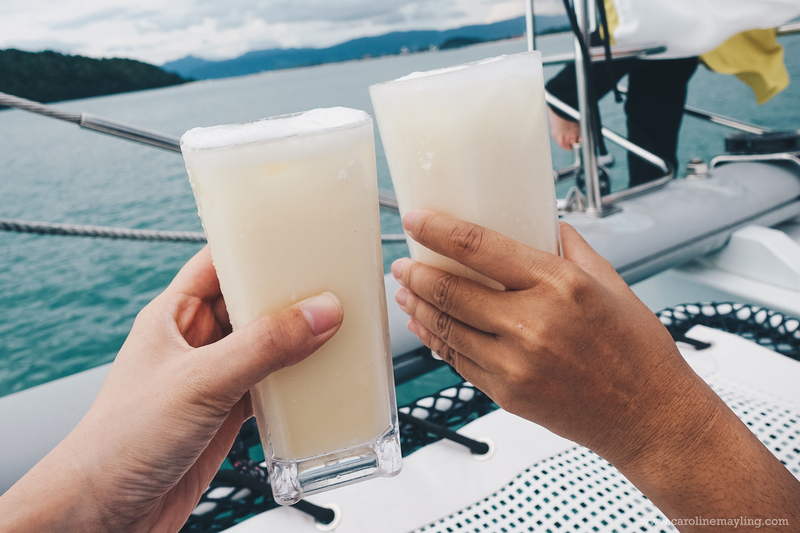 You need not worry about being dehydrated because the crews will constantly come around to get you new refreshments, which also means you and your partner can enjoy the entire sunset moment whilst sipping your favorite cocktails, on a yacht. 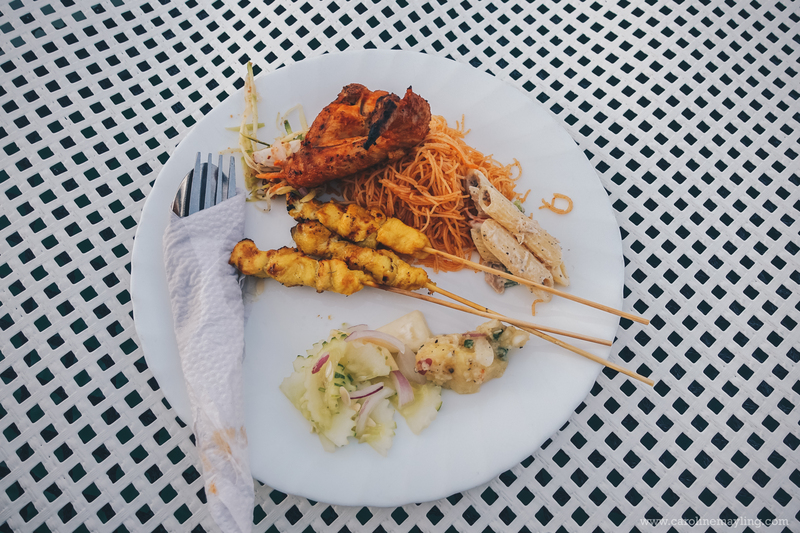 Also, you'll get to enjoy gourmet BBQ dinner on the cruise too. 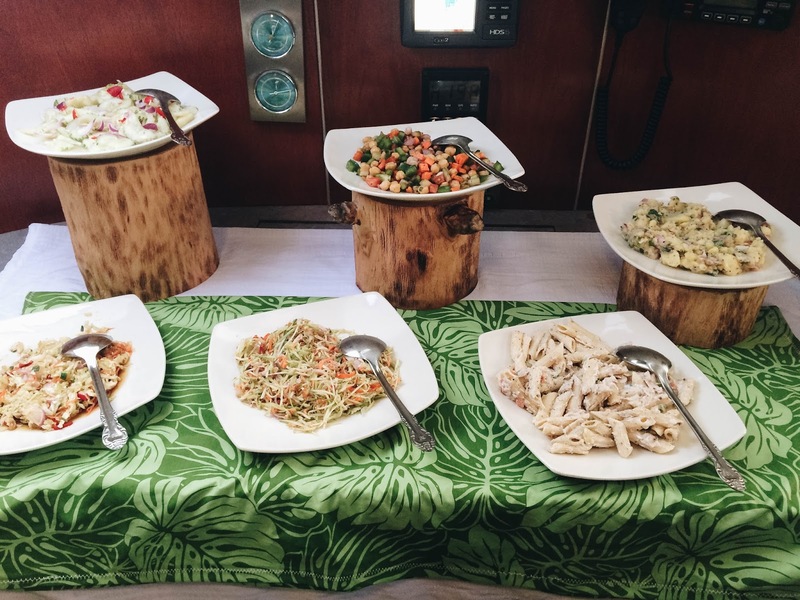 You will be spoiled with choices from the salad bar to the mains and desserts. 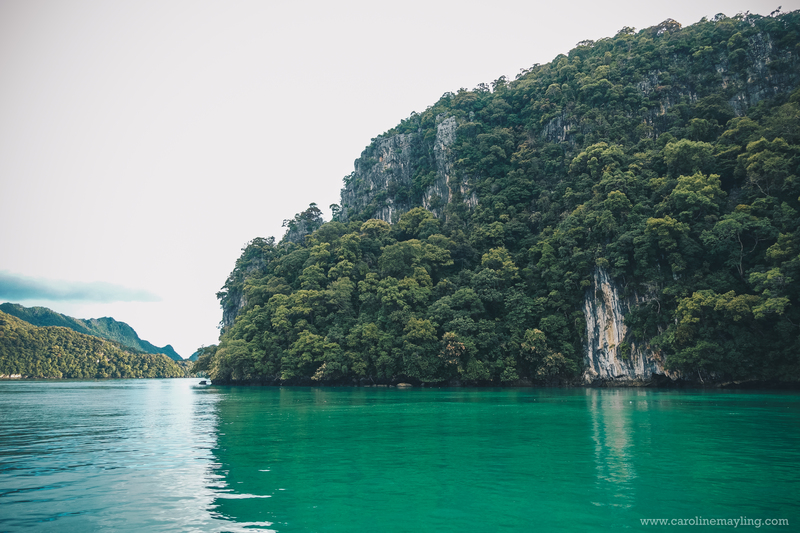 As the boat sailing in the Andaman sea, you and your partner will be treated with tons of stunning scenery along the cruise. 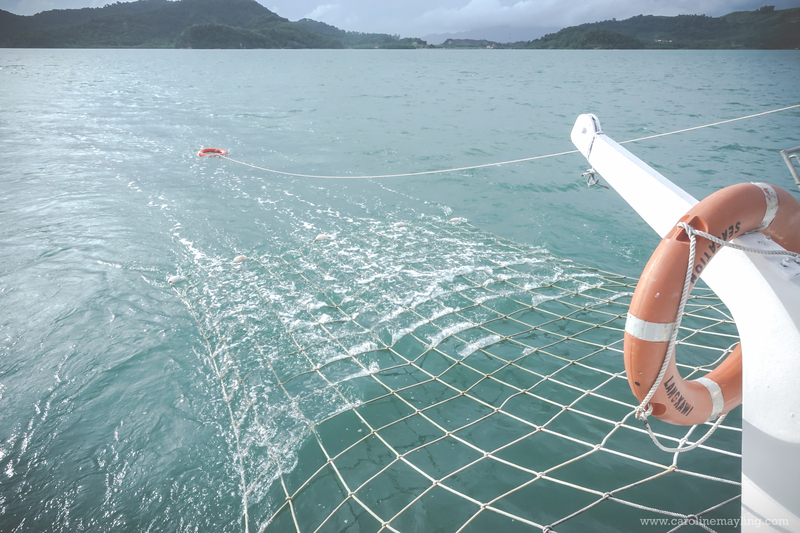 You and your partner can enjoy a fun intimate moment on the salt water jacuzzi net that is attached to the back of the boat. There's nothing better than enjoying the view and jacuzzi with a glass of wines. ps. For your safety reason, this activity will not be available if there's a lot of jellyfish in the water. 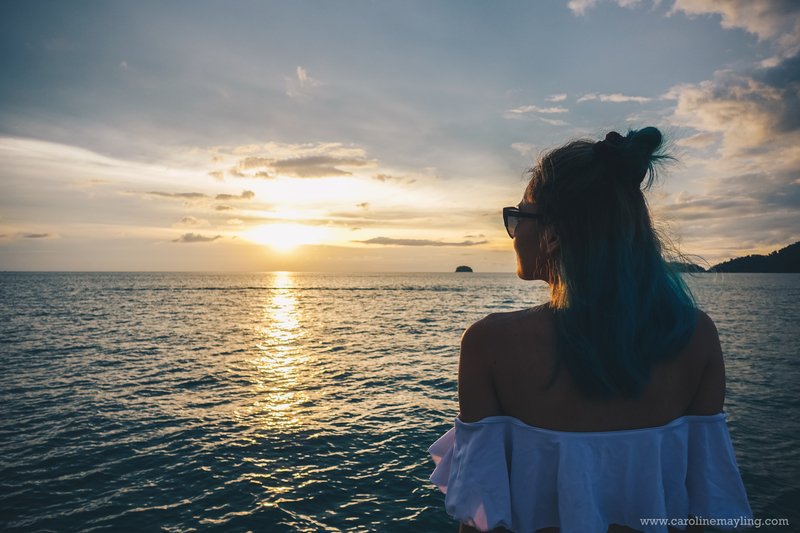 Nowadays, to be able to watch the sunset is a luxury to many, especially for those staying in the city. 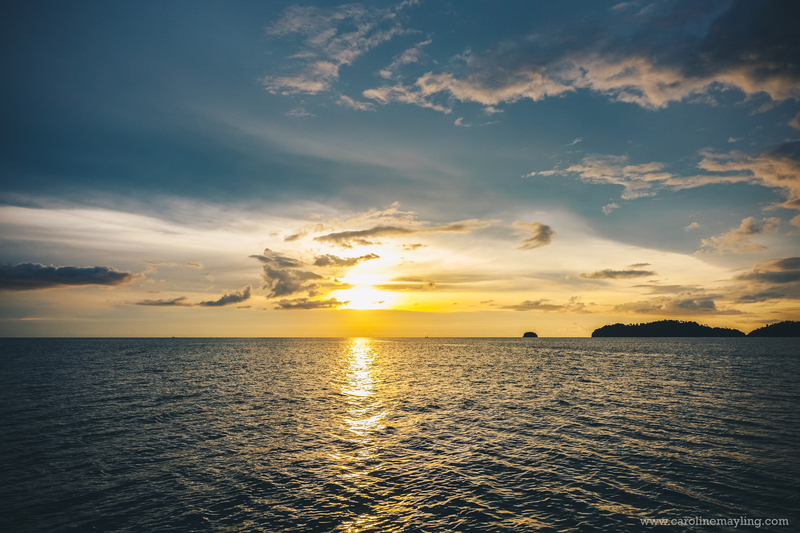 At this moment, you and your partner probably cuddling on the deck or holding each other hands, watching the colors of the sky changes to beautiful shades of red, orange, violet and yellow - simply mesmerizing. 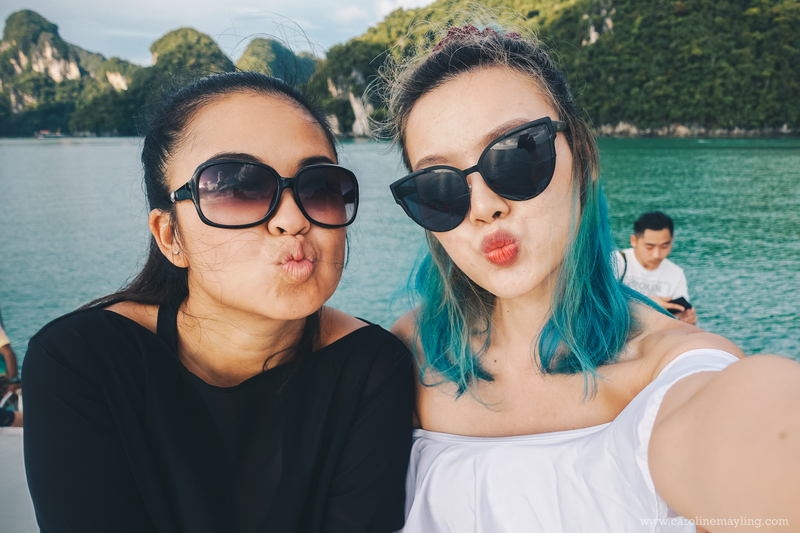 Whether you are taking a selfie, wefie or hipster photos, there are many spots on the boat that you can snap hundreds of Tumblr-inspired photos! 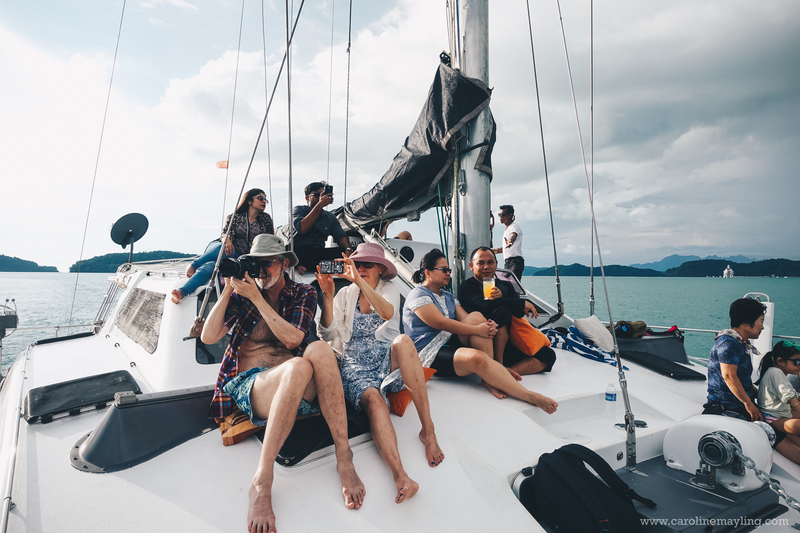 Don't be afraid to ask the crew or get the other guest to help with the picture taking, chances are they are more than happy to help you to hold the camera and help you and your partner to make more memories together! 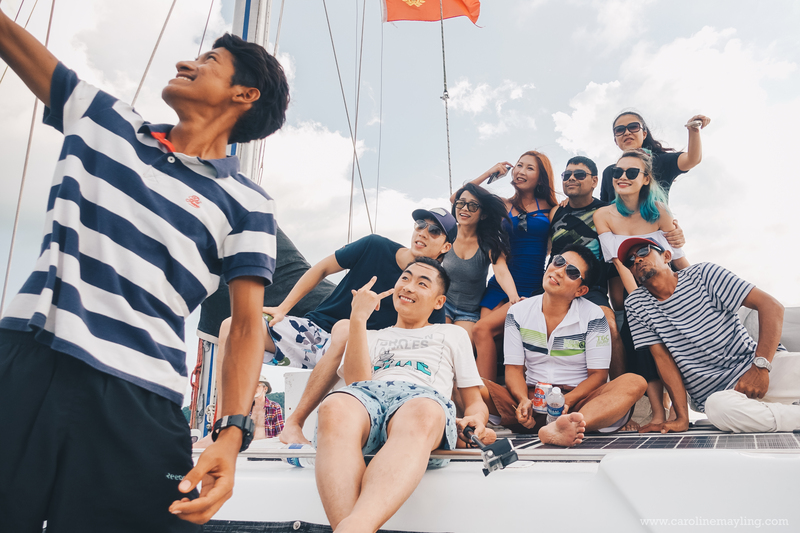 Of course, it really doesn't matter whether you are coming by yourself or partner, I bet you still can enjoy the entire cruise as you will be meeting and mingling with people from around the world! We had so much fun getting to know each other and becoming friends. 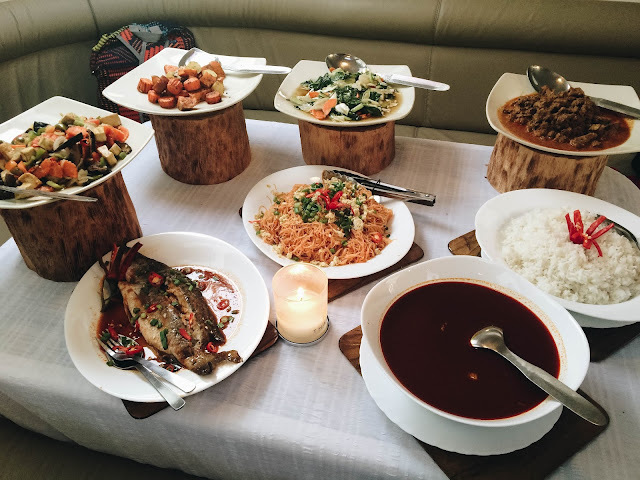 If you are in Langkawi or visiting Langkawi soon, do remember to book yourself a sunset dinner cruise, you will get to enjoy the best sunset moment while sipping your favorite cocktail, on a yacht.